Many were shocked in the early hours of the morning to learn of the death of colorful and controversial chef, author and world traveler Anthony Bourdain. Bourdain rose to fame with the personal restaurant expose Kitchen Confidentialbefore staking a firm claim on television, where he hosted the popular shows Anthony Bourdain: No Reservations and Parts Unknown. Rev. Victor Labrada, a food aficionado in his own right, returns to ZekeFilm to offer his remembrance. All the most interesting men in the world are leaving. Who will replace them? The other night I posed a question to a group of friends: Who, today, is our Ernest Hemingway? We all named actors, trying to find someone who was famous and also had that ‘real world’ experience and penchant for reflection. 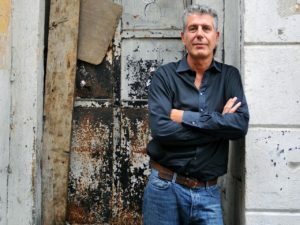 It hit me as the conversation died down: Anthony Bourdain. A world traveler with real experiences and expert knowledge. He was able to lift the travelogue food show from its forced-smile roots to something near art, or at least rock and roll. In most of his programs he sought to answer some question or reflect on some idea that revealed a common humanity, as much as you can in an hour-long format anyway. He was able to lift the travelogue food show from its forced-smile roots to something near art, or at least rock and roll. Where other shows seemed to be hosted by muppets and glad hands, Bourdain let his cynicism and humor shine through, asking uncomfortable questions in his search for truth via meals. 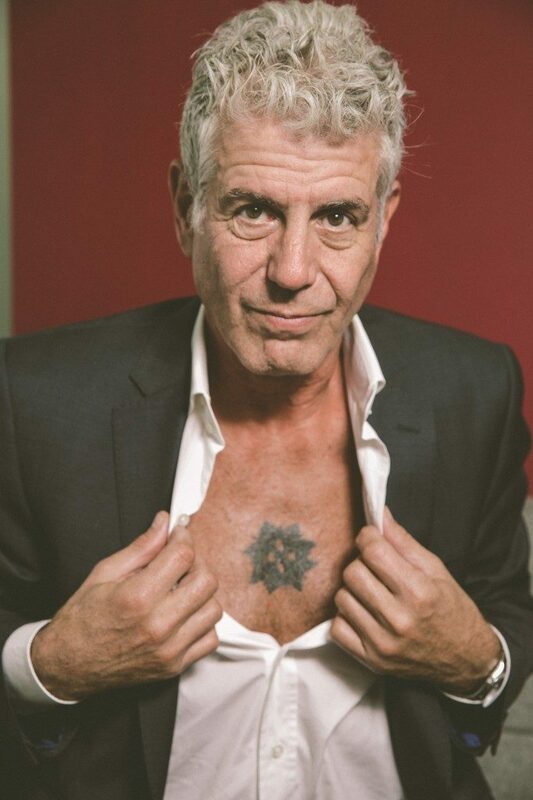 The path to a man’s heart is through his stomach, and Bourdain was not afraid to wander off the path to see where else he could get to. This is not at all to mention his writing; I would put Kitchen Confidential in the top five non-fiction books of this century, and it’s basically about working at a restaurant. Now taking his own life at 61 (just like Hemingway), Bourdain cements his legacy and leaves a void in our popular culture. What were his demons? A man can eat his way around the world and still be empty. I hope that at some point in his journeys someone cared enough to tell him about the bread of life (John 6:35).